Katarzyna and Marcin Owczarek are professional Fine Art photographers. Marriage with strong passion for photography. Katarzyna and Marcin started working together in 2016. 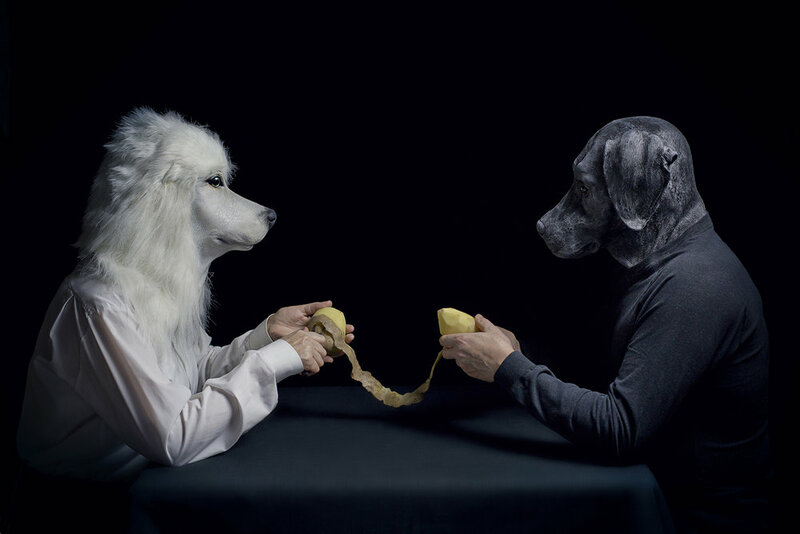 Telling stories is a part of our fine art photography project based on surrealistic imagery. 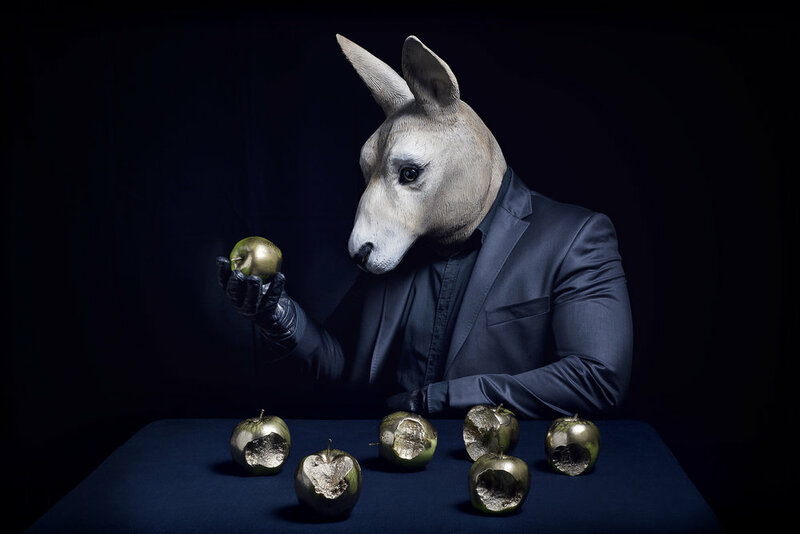 Our new series titled "My Hearth is An Animal" brings elaborate compositions combining human and animal elements. We employ animal characters in human settings, often in a social and spiritual context, because each creature brings to life beautiful and original symbolism and emotional values. We are all connected, people, animals, nature...as a one living organism. In every human being there is a piece of animal instincts and in every animal there is a piece of human being: soul, feelings, emotions, fragility. Animals show human emotions. Our observations reveal beauty, sometimes it is found in the unconventional way. For this reason our whole work deals with the relationship between Man and Nature, in particular with animals . Our artworks are both planned and subconscious. Sometimes it is deliberate observation, sometimes just like a dream half remembered. Strange encounters at the edge of perception. We create imaginary landscapes and we invite the viewer to immerse themselves into a world of dreams and mystery to see the reality in diverse ways. Our work is expressed in a surreal language, because we want to clash the rationality and irrationality to find deeper meanings of life. Everything we see or do can be seen in both positive and negative way. Not everything we see is what it really is. By creating poetic and philosophical works we want the viewers to interpret our work according to their own life experiences. The symbolism of our creation can be interpreted on many different levels, we tell a story about best and worst aspects of human existence. There is always many stories behind each our work. You can explore as many stories as human and spiritual eye might perceive. It depends on the viewers particular own life experiences. By creating surreal images filled with hidden meaning, we want to show evolution and transition of human's inner reality. We offer insight into the world of dreams, symbols, metaphors, allegories, legends and myths. 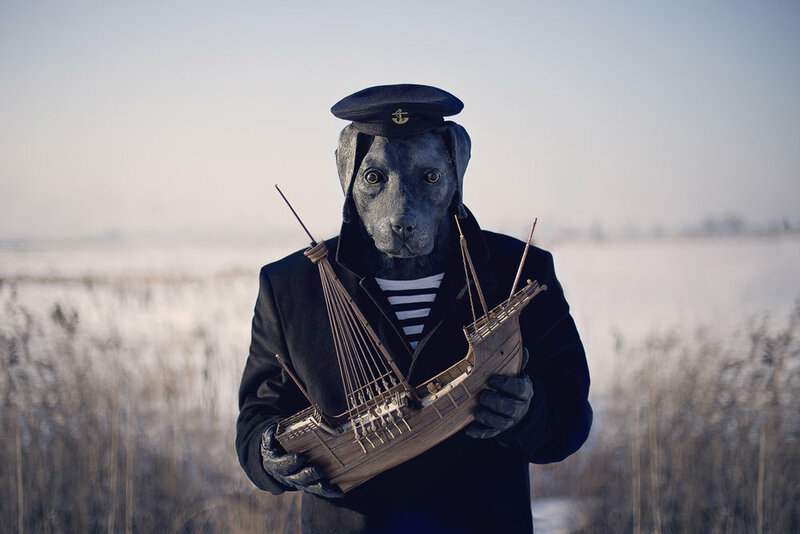 The unique atmosphere, strange, conceptual scenes of hybridizing human and animal bodies, combining elements, portray and deeply touch our condition. Our work attempts to provide strong impact: visually, mentally and emotionally. We want our work to speak for itself and for people to interpret it in their own way. Our intention is to explore the infinite possibilities of human imagination, in search of a connection between reality and beyond. To understand and explore human nature is an official credo standing behind the conceptual basis of all our art practices.